Courage is a great way to start your personal blog, magazine or news website today. The theme is super easy to use and looks awesome on every device. Courage features a fluid layout that adjusts automatically to any screen size. 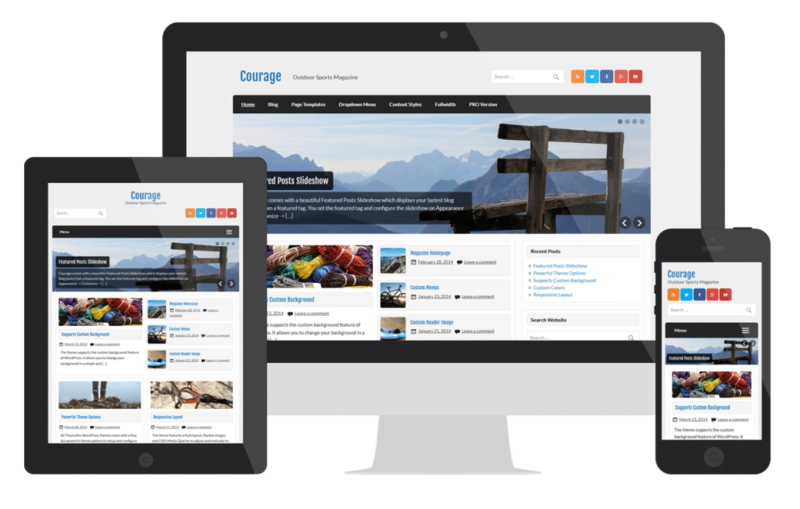 Your visitors will get a great-looking website, whether they use a desktop, tablet, or smartphone. 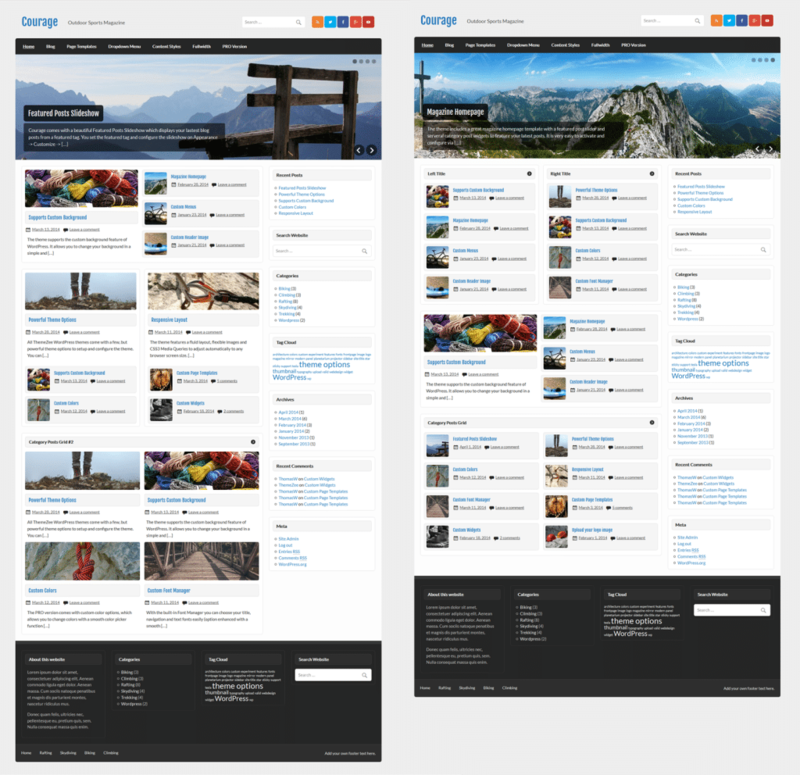 The theme includes a sleek fullwidth image slideshow which can be displayed on the Magazine Homepage template and on the normal blog index. The Slider will highlight all your featured posts, which can be easily selected and configured by setting a featured tag in the theme options. You want to use the free Courage WordPress Theme? 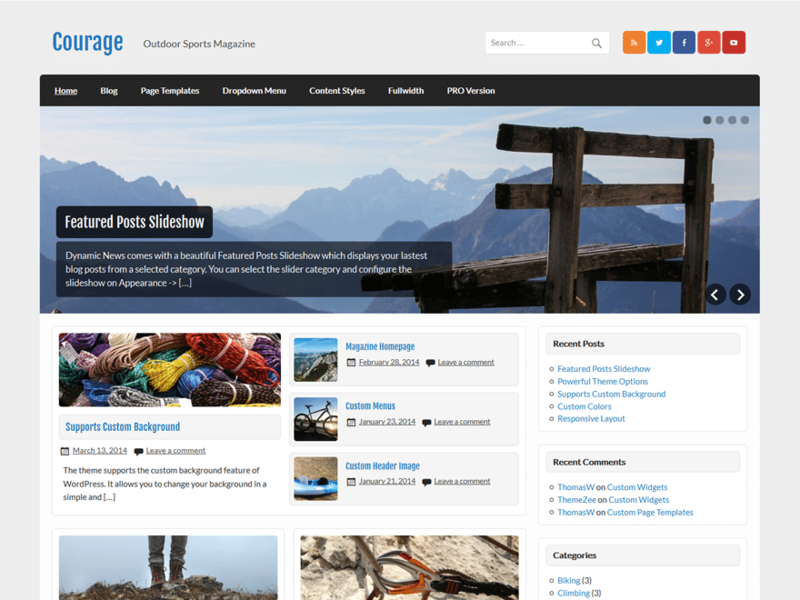 The Magazine Homepage template let you create a magazine-styled homepage with ease. It displays the Featured Post Slider and a widgetized area where you can use the custom Category Posts widgets to display the latest posts from the categories of your choice. Since the template is based on widgets there are unlimited ways how you can set up your Magazine Homepage. 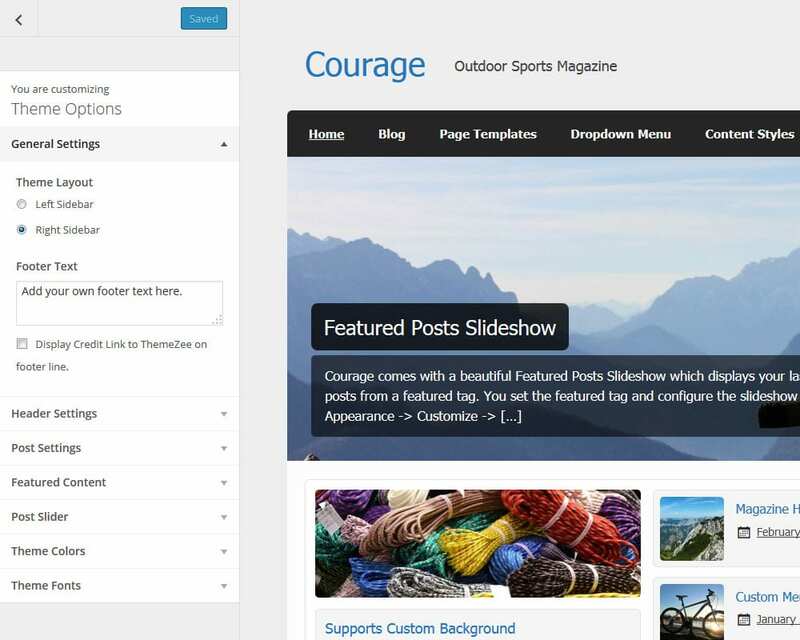 Courage supports three different Category Posts widgets (Boxed, Columns, Grid) to choose from. You can easily activate a search field and/or social icons in the Header Settings of Courage, which are displayed on the right side of the header area. Of course Courage is licensed under GPL. That means you can use it on unlimited websites for private and commercial purposes. 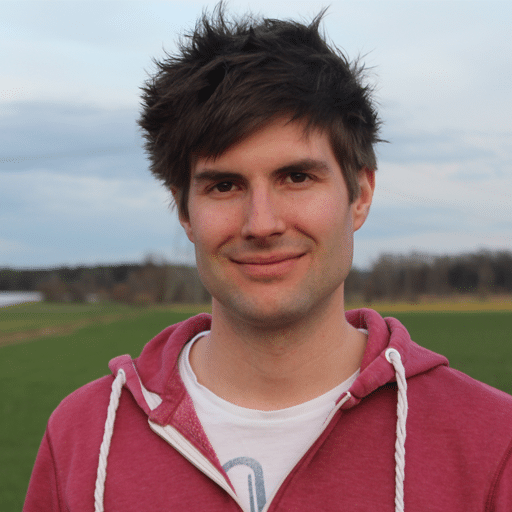 You need more features and theme options?